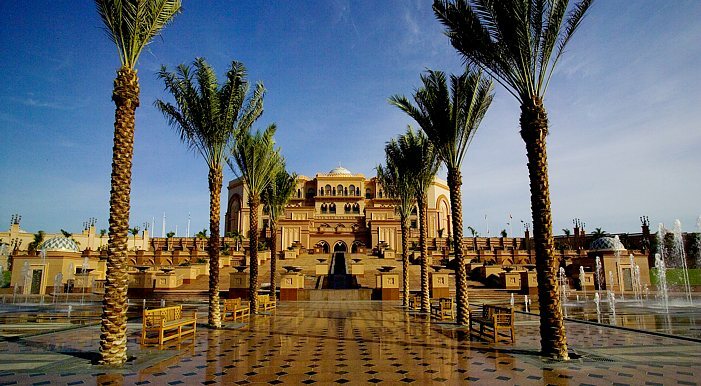 In Next Gazette: Emirates Palace, U.A.E. 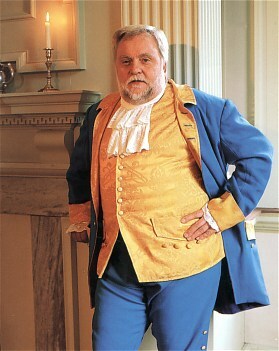 The 'solid handshake' executive moved cross-country with his wife Silvia and their two girls (10 and 13). When he arrived at the RCP, the entire available staff had lined up and welcomed the 'American Dream Man' from Nevada personally as the new member of the family. A genuine gesture by a well-trained team! 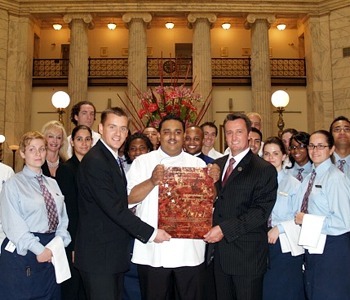 Our hats are off to the Ritz-Carlton family of hotels and resorts for their true measure of consistency in personal service and sincere hospitality. Executive Chef de Cuisine Sbraga cut his teeth at Johnson & Wales University, the premier venue for the future great chefs of America. 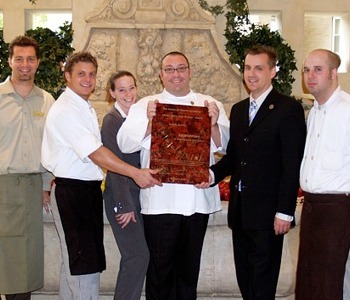 After an externship at the Hotel Metropole in Brussels with a French master chef, Chef Sbraga completed his BA at Johnson & Wales and went on to gain valuable experience and influences at various locations in the Ritz-Carlton chain. We were impressed with Chef Sbraga's worldliness and in his own words how he "Re-defines American cuisine with new twists on tried and true combinations". Much of his menu Sbraga told us is prepared through the art of Sous Vide or "cooking under vacuum" as learned through his experiences with mentor Arnaud Berthelier, one of the great chefs of the Ritz-Carlton family. People were milling around in period costumes elaborately festooned with frilled ascots and ornate coattails as well as tri-angular hats. An eighteenth century harp player provided the soothing background music while costumed servers busied themselves with fabulous pass-a-round treats. 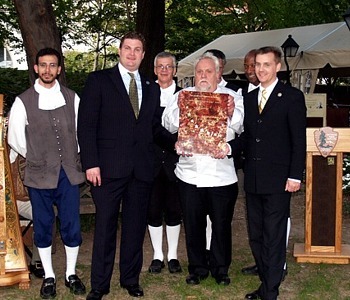 This was an event like no other but at the same time it carried the distinctive imaginative signature of proprietor Sir Walter Staib and his Director of Marketing & Projects Mr. Paul Bauer working hard to carry on the remarkable tradition of such a celebrated place. Simone and I were thrilled to be in the company of such an electrifying personality but more importantly we were seriously prepared to sample Chef Staibs legendary cuisine. We were informed that Chef Staib had recorded all his favorite recipes in a series of Old World cookbooks referring to his familys concoctions that have been held in place for years as closely guarded secretes. First of all many thanks to those of you for suggesting your favorite resorts, hotels and restaurants from around the world. 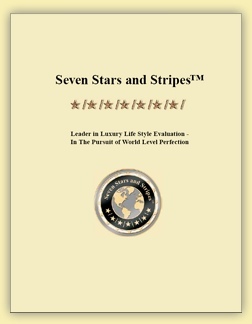 We understand that you feel that they deserve the Seven Stars and Stripes award and we hope that our teams will be able to review many of them in 2007. Please understand that our strict policy of reviewing onsite only requires sometimes a longer waiting period. 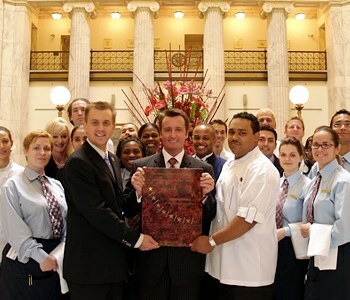 - It was indeed a very exiting fall so far as our Seven Stars and Stripes teams recognized some of the finest hotels and restaurants and their team members in Baltimore and Philadelphia on the US East Coast recently and we are happy to share some of the reviews with you here today. In the November Gazette we are taking you to the fairytale Kempinski Emirates Palace in Abu Dhabi with Etihad Airways Pearl Zone and the Restaurant Le Siècle at the Radisson SAS Palais in the ever so charming city of Vienna, Austria. See you October 18th at the Hamptons International Film Festival on Long Island, NY, USA or watch the 5-day event live on www.WADTV.com Hamptons TV. 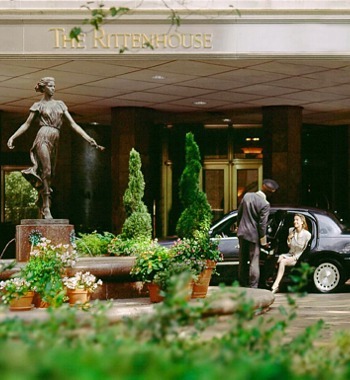 The Rittenhouse's accommodations measure between 450 to 600 square feet, which, with all do respect, are super large units in comparison to other hotels in the area. The service level at The Rittenhouse is not only extremely high but it is also presented with sincerity, which is hard to find. 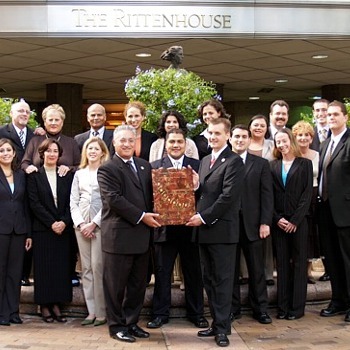 When I met with VP David Benton, who has also been the General Manager of The Rittenhouse since 1990, it became pretty clear that his success is the empowerment of his staff. We spend some time at the European-style Spa & Salon and their 10,000 square foot Health Club facilities. It is complete with state-of-the-art equipment and aerobic machines that allow each person to watch or listen to their favorite station on an individual flat screen TV, fully equipped with DVD and CD player. 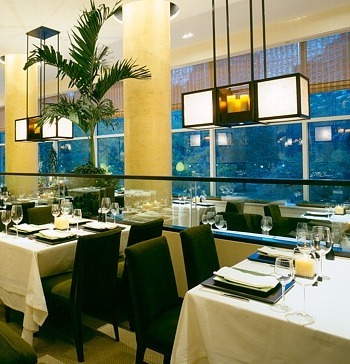 It was 'Restaurant Week' in Philadelphia and Lacroix at the Rittenhouse was a participating partner, which meant that things were getting heated up with lots of patrons entering with high expectations of an exceptional dining experience. GM Benton is extremely proud of his flagship establishment and was there to make sure that all his patrons were comfortable during this critical time. "Rimowa - Luggage for the World Traveler."